Residential and commercial new court construction anywhere in DFW. We have been building premiere courts for 25+ years. We have built them all from courts at single family homes to multi court complexes at commercial locations and huge facilities for schools and universities. We are your professional choice for top quality court construction in the Dallas Fort Worth Metroplex. Beautiful and well-maintained courts naturally attract people and make each game that much more pleasurable. We use top of the line products to resurface your courts and bring them back to life. Bring that fresh bounce back to your tennis or other hard court surface. We can make your court perform just like new. The right accessories make your courts comfortable and fun. 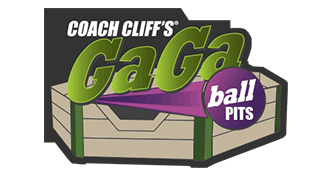 Court caddies, top of the line nets, fencing, wind shades, and so much more to make your courts the place to be. 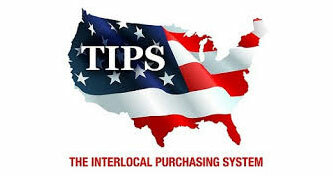 We have many items in stock and ready to ship. Of course we can custom order anything you might need. 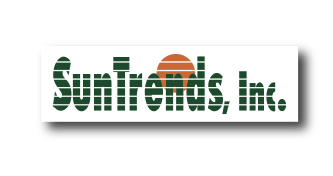 We can do the work for you on a regularly scheduled maintenance plan or on an ad-hoc basis. A well maintained court is important for consistent game play and extending the longevity of your court surfaces. Or, we can sell you the quality maintenance and cleaning products for you to work on your own courts. 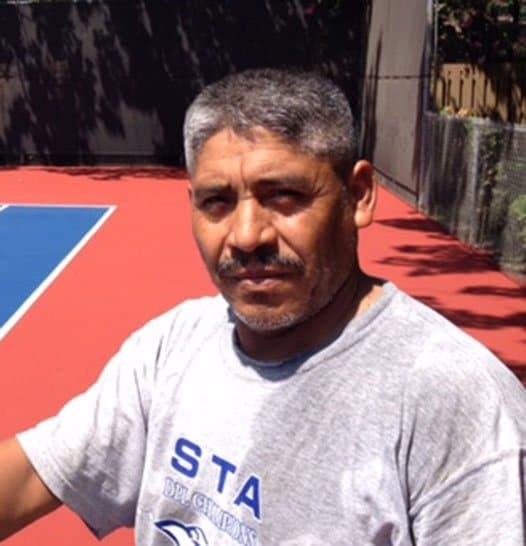 Master Systems has been building, resurfacing and cleaning tennis courts and a variety of other court surfaces for well over 25 years. 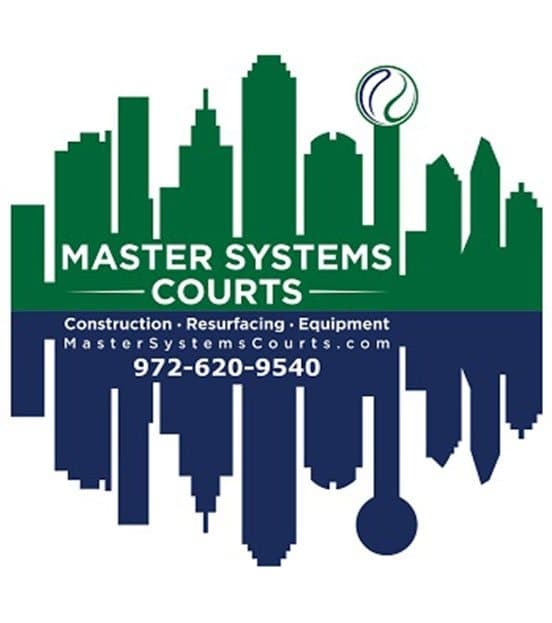 We are the premiere court construction and maintenance company in the Dallas Fort Worth Metroplex area ever since we built our first court in the early 90’s. Master Systems has proven expertise with providing our clients innovative turnkey court solutions. We specialize in building new post tension courts, resurfacing, repairing, maintaining and cleaning existing courts. 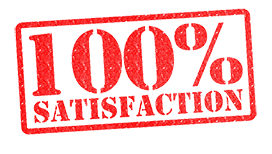 Master Systems guarantees the quality of all work and is a fully licensed and insured company. We are committed to providing the highest quality court work in the DFW Metroplex area. Whether your project is large or small, commercial or residential, we are prepared to earn your business. Bob has been a tennis professional for the past 50 years, serving as the tennis director at Northwood Country Club in Dallas for 24 years. Bob has traveled to tennis facilities all over the world, such as the U.S. Open, Wimbledon, and the Australian Open to see and experience first class operation. 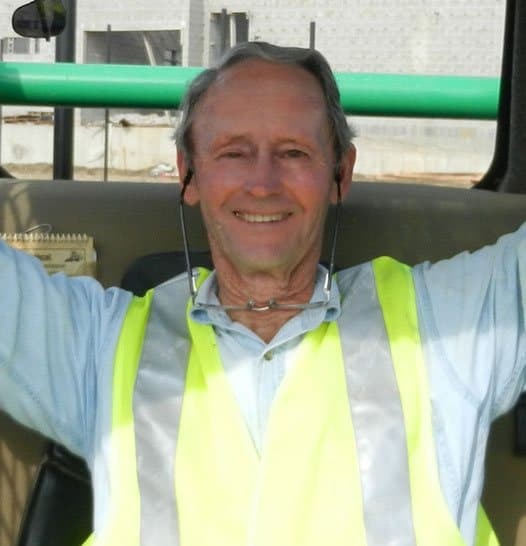 Bob saw the demands of the Sports and Recreational industry and founded Master Systems to devote his time and energy to court design, construction, and repair. An accomplished and results-driven sales/marketing management and business development professional. 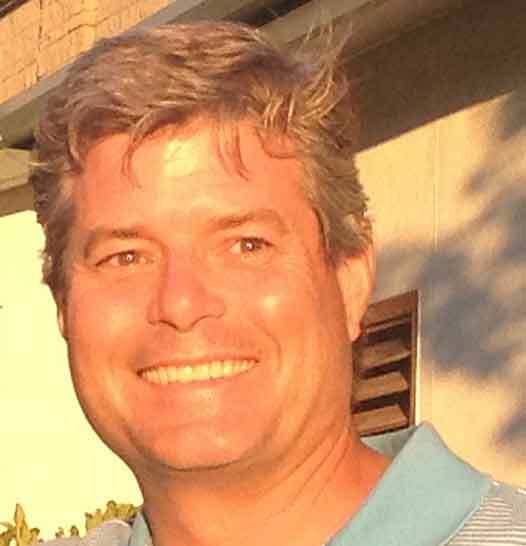 Blair grew up playing tennis in Dallas graduating from Jesuit College Preparatory School and received his BBA from the University of North Texas. Recognized throughout his career for integrity, honesty, and persistence. Blair is involved in every aspect of day to day operations. Jose has been in the construction business his entire livelihood. He has been an employee of Master Systems since 1994. Jose is a driving force to the success of Master Systems. Jose is a skilled craftsman and is actively involved with every aspect of all services provided by Master Systems. As a cautious and capable technician Jose takes great pride in each and every job he completes. A shoutout to my good friend and tennis colleague, Blair Descourouez with Master Systems. 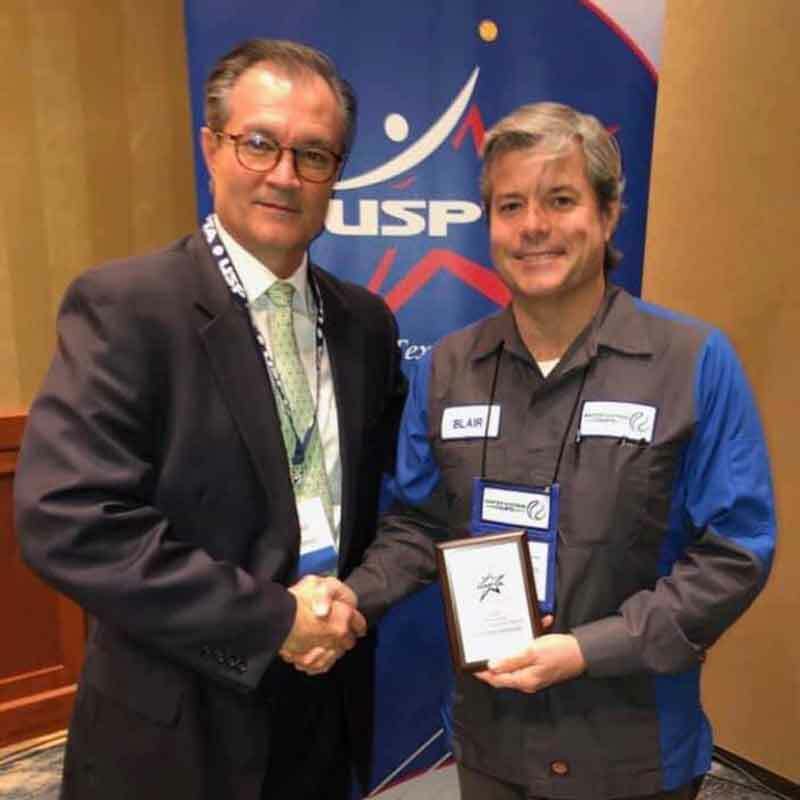 He was the recipient of the 2018 USPTA Texas Dean Larson Sales Rep of the Year Award. Blair received this prestigious award at our Annual Convention, Buying Show, and Awards Luncheon this past Friday afternoon at Horseshoe Bay Resort in Texas. Congrats Blair for making a difference in our tennis community!!!!!! We had to have our courts resurfaced quickly, and Master Systems gave us a fair price and put a team on the project immediately. They are first class all the way. Their ability to do what they said they would do took a tremendous amount of pressure off of my company during a difficult time.